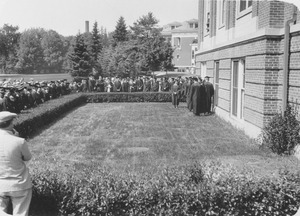 Massachusetts - Graduates and spectators gather behind shrubbery as other graduates stand in front of Goessmann Laboratory during Class Day activities for Commencement 1931. The east side of Draper Hall can be seen in the background. 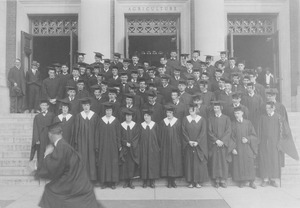 Date of photo on back is written as 1933, which is crossed out and '1931' written in. 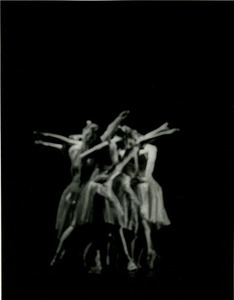 "Photo by Oleson M.A.C." stamped on back. 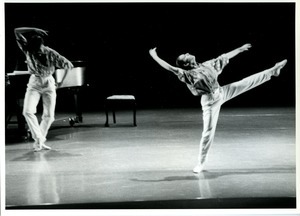 Duxbury (Mass.) 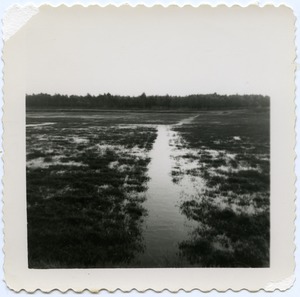 - From a series of images of the Duxbury Cranberry Company operations. Andover (Mass.) 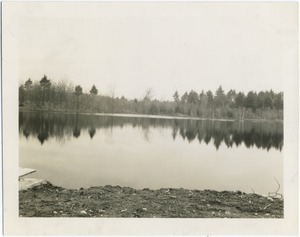 - From a series of photographs taken of Civilian Conservation Corps work in Massachusetts. Massachusetts - Protesting student fee increase and campus police violence in front of the Whitmore Administration Building. 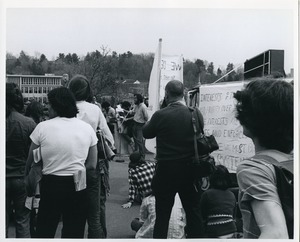 Protest organized by the Radical Student Brigade, a precursor of the Radical Student Union. Photo taken by Campus Security. 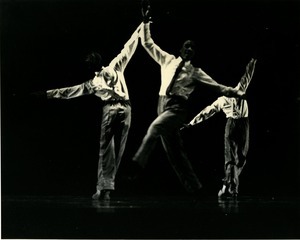 Massachusetts - From a series of photographs depicting a performance of "Shout," choreographed by Richard Jones. Athol (Mass.) 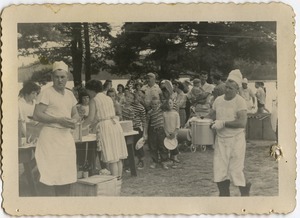 - From a series of images of a Rodney Hunt Company employees' outing at Lake Rohunta; apparently once laid into an album. 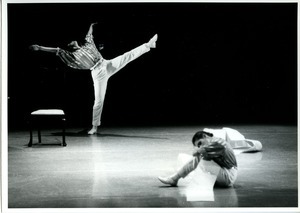 Massachusetts - From a series of photographs depicting a performance of Neuf.